The records are played and recorded using a STD turntable with a SME arm and cartridge this is connected via a USBPhonoPlus audio interface to a Apple Mac Computer with state of the art recording / enhancment software installed before either converting to MP3 or mastering onto CD. 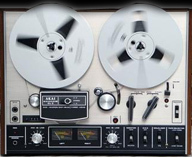 The audio tapes, are played using either a Sony MINIDISC, JVC DAT player,Technics cassette deck or a Akai Reel to Reel then digitally recorded using a Apple Mac Computer with state of the art recording / enhancment software before either converting to MP3 or mastering onto CD. We accept payment via Cheque (made payable to retrorecordings), postal order, BACS (please email for our account info), Credit / Debit Card or Paypal account via our online store or via emailed payment request info@retrorecordings.co.uk. After cleaning we record via computer to high quality audio file and apply noise reduction and sound enhancment if required before mastering on to CD. The CDs comes laser etched or with full colour onbody print of either centre of record info, cover of record or your artwork if supplied and are package in a jewel case. After cleaning we record via computer to high quality audio file and apply noise reduction and sound enhancment if required before converting to MP3 format. The MP3 file can either be email to you or copied to CD. The CDs comes come laser etched or with full colour onbody print of either centre of record info, cover of record or your artwork if supplied and are package in a jewel case. After cleaning your single we record via computer to high quality audio file and apply noise reduction and sound enhancment if required before mastering on to CD. After cleaning your single we record via computer to high quality audio file and apply noise reduction and sound enhancment if required before converting to MP3 format. After cleaning your Album we record via computer to high quality audio file and apply noise reduction and sound enhancment if required before mastering on to CD. After cleaning your album we record via computer to high quality audio file and apply noise reduction and sound enhancment if required before converting to MP3 format. We record the tape/s via computer to high quality audio file and apply noise reduction and sound enhancment if required before mastering on to CD. The CDs comes laser etched or with full colour onbody print of cover of cassette or your artwork if supplied and are package in a jewel case. We record the tape/s via computer to high quality audio file and apply noise reduction and sound enhancment if required before converting to MP3 format. The MP3 file can either be email to you or copied to CD. CD comes laser etched or with full colour onbody print of cover of cassette or your artwork if supplied. All CDs are package in a jewel cases. We record the tape's via computer to high quality audio file and apply noise reduction and sound enhancment if required before mastering on to CD. The CDs comes laser etched or with full colour onbody print of cover or your artwork if supplied and are package in a jewel case. The MP3 file can either be email to you or copied to CD. CD comes laser etched or with full colour onbody print print of cover or your artwork if supplied. All CDs are package in a jewel cases. The MP3 file can either be email to you or copied to CD. The CDs comes laser etched or with full colour onbody print of cover or your artwork if supplied and are package in a jewel case. We record the minidisc/s via computer to high quality audio file and apply noise reduction and sound enhancment if required before mastering on to CD. The CDs comes laser etched or with full colour onbody print of cover or your artwork if supplied and are package in a jewel case..
We record the minidisc/s via computer to high quality audio file and apply noise reduction and sound enhancment if required before converting to MP3 format. We record the DAT tape/s via computer to high quality audio file and apply noise reduction and sound enhancment if required before mastering on to CD. We record the DAT tape/s via computer to high quality audio file and apply noise reduction and sound enhancment if required before converting to MP3 format.